“A just law is a man-made code that squares with the moral law or the law of God. Dear Friends at Peace: We wanted to share the good news with you that on May 29th, we welcomed our second daughter, Julia Isabella, two weeks early but weighing almost 8 pounds! We hope that you are doing well and enjoying the summer months. Amanda & Memo Peace Partnership Laurel Galan: The Situation in Nicaragua has us very concerned, especially because of its unpredictability and not knowing when it will end or what the future holds for our beloved country. We give thanks to God that we and the communities that we work with are safe and also continue to pray for peace and justice in the midst of turmoil. Two months ago, the government announced reforms for the social security system, and students took to the streets to protest. On the second day of protesting, there were students killed, and this created a chain reaction of people protesting in response to the deaths. The last 2 months have completely changed the reality of Nicaragua, and there is widespread insecurity, violence and roadblocks which cut off transportation of people and goods. We hope that this struggle will ultimately lead to something better and richer for everyone, but are shocked by the levels of violence. So far, more than 200 people have lost their lives and hundreds have been hurt, thousands of jobs lost and families torn apart, and it’s unclear what the future holds. We especially pray for the July 19th anniversary of the Revolution, that there are no mass confrontations. Currently the Inter-American Commission on Human Rights from the Organization of American States is here investigating the deaths and disappearances and who is responsible. And the archbishop of Nicaragua has traveled to Rome to meet with Pope Francis and discuss the situation, since the Catholic Church has been mediating the dialogues between the government, the students, and civil society. One of the requests of the students and other sectors is that Presidential elections would be held early, possibly in March of next year. We have not been able to visit the community since April, because of the roadblocks. But we continue calling Dona Ligia and checking in to see how the community is doing. They have told us that they have food available, and that it’s been raining so they have enough water. The main problem is that they aren’t able to get in to Managua for doctors visits or other appointments. We ask you to continue praying for the situation, and the women of Laurel Galan. Join the Oakland Interfaith Gospel Choir and Norwegian choir SKRUK on their west coast tour! Gospel Choir alongside Scandinavian choral music – what a collaboration! Saturday, June 30, 7:00 pm at The Lesher Center in Walnut Creek. Tickets are $22 – 25. Summer Fun at Peace ! 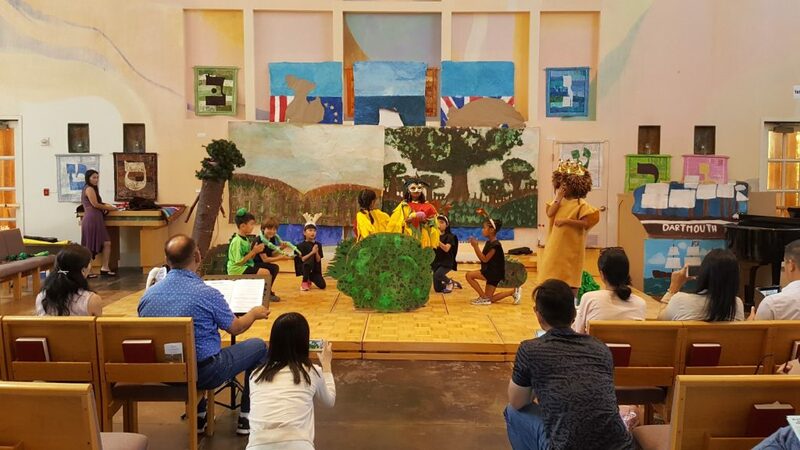 The Hacienda School brought their Summer performances to Peace with Why Do Mosquitoes Buzz in our Ears and Other Stories. In 2017, 43% of Fortune 500 companies were founded by immigrants and the children. A ‘pre-decisional brief’ proposes moving 47,000 immigrant families to a tent city at the Concord Naval Weapons Station. More than 2,000 children were separated from their parents since April by the zero-tolerance policy. The prior policy of apprehending undocumented immigrants and calling them to appear in court after releasing them was effective nearly 99% of the time. The insidious Spiritual Lie fearing the ‘outsider’ always claims these families and children are less than human. Every person, regardless of their immigration status is made in God’s Image! the current instability in El Salvador, Guatemala and Honduras. We need to learn our own history. 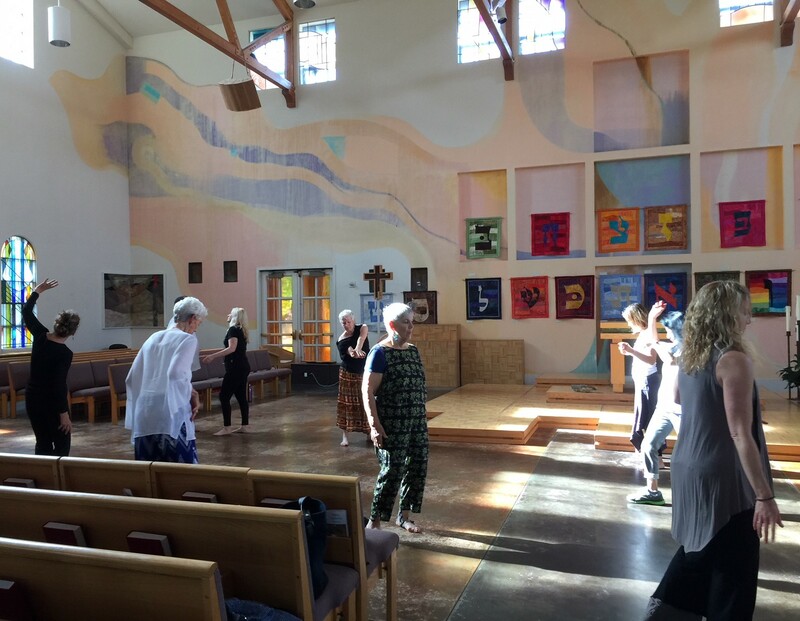 ¨ Collecting Interfaith Stories I-SRV has created a process to gather personal and congregational stories to nurture interfaith connections. We hope to have two or three interviews occur in each congregation during the summer months. These written stories will be shared in home congregations an then made available to interfaith partners. It is likely they will be electronically formatted in the future. Pr. Lucy and Libby and Pr. Elizabeth attended a 2 day Conference on Sanctuary recently. They shared highlights this past Sunday. They have gathered materials that provide a thoughtful and rich context for understanding the dynamics and practices of our broken immigration policies and sanctuary responses. These will be collected and made available (hopefully online) for our congregational review. The Pure Pleasure of Summer! What a blessed and joyful and Concert we experienced last Sunday with artists Stefan and Maria Safsten. Their creative interpretations of art, poetry and literature were stunning. This concert was their Thank You – prompted by their desire to ‘give back’ to Peace for our efforts and partnership in presenting numerous choral events during the last 12 years….from New York to San Francisco. An amazing history. Their CDs are available for purchase this Sunday. It was pure pleasure! Keep in your prayers: Sloane and Merrit mourning Mary Calhoun’s death; Parker and Hailey; June, Margaret, Spoon, Marshall, Sue, Ed, Children separated from their parents; for the courage and tenacity to get at the root causes of hatred, racism and poverty. It’s pride week! Pride parade on Sunday 6.24 We are proud to have been supportive for 25+ years! Never forget we helped to liberate the San Francisco Lesbian Gay Freedom Band SF when they performed in Danville. Here’s a part of their history – thank you, Gary! If you missed Pastor John Rutsindintwarane’s presentation on organizing in Rwanda or if you’d like a copy of some photos and information he offered, please pick up a copy on the table in the Gathering Hall. Also, if you are interested in forming a Giving Circleto help fund the organizing work, please talk with Ken B or Pastor Lucy. What’s a giving circle? It’s a number of folks who commit a certain amount (your choice) per month to the work and agree to get updates about what’s happening. The money will be sent to the PICO office in Oakland to be forwarded to the Rwanda account. 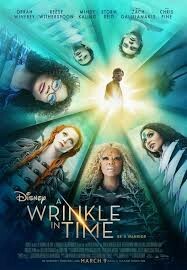 LAST FRIDAY FILMS: A Wrinkle in Time – June 29 6:30 – The movie is different from the famous book by Madeline L’Engle its story is derived from, but still raises tween age-subjects: bullying at school, going on a quest to help someone you love, trusting your abilities, asking for help and accepting your faults. Both the book and the movie ask a big question, What is worth believing in? All you math lovers, get ready for Tesseracts! Directed by Ava DuVernay, it stars Oprah Winfrey, Reese Witherspoon, Mindy Kaling, Gugu Mbatha-Raw, Michael Peña, Storm Reid, Zach Galifianakis, and Chris Pine. Run time 109 min. ; rated PG – Parental Guidance Suggested – Some material may not be suitable for children. Common Sense Media recommends age 10+; kids say 9+. Foolish, God thundered, No more of that! No hidden idolatries, No cheating, lying, stealing; No oppression of others; No usury. What a joyful surprise to have a 2nd Baptism on Sunday! Congratulations to Parker Murillo and Hailey Lepore! And to Grandpa Dan for paying attention!! Keep in your prayers: Margaret Bender, June, Drew, Sue, Ed K and Ed R., Dennis, the Peace Process with North and South Korea. 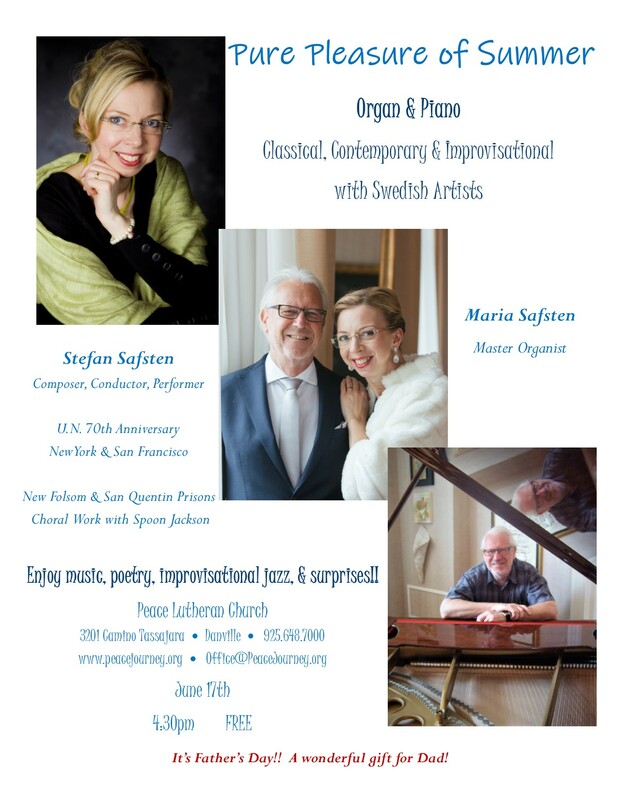 The Pleasure of Summer Concert with Stefan and Maria Safsten is this Sunday, Father’s Day at 4:30 pm. Come bask in the beauty of the day, the music and this season. As of today, only 20 surveys have been received online so we are moving the deadline to June 17. The Peace Council has begun this process to assess our future. We know the future depends upon the gifts and skills of those who are creating the present. Our first step was designing a Survey for members and friends of Peace. That process required thoughtfulness, design and several weeks of evaluation. Your responses will help us clearly assess who we are, where we are and essential priorities. The survey takes less than 10 minutes to complete. There are many ways in which people connect to Peace. All experiences and perspectives are valuable to us because they help us to discern the best ways to connect with and nourish spiritual vitality in our lives and community. Memorial for Mary Calhoun will be held this Sunday, June 10; 4:00pm at the Graham Hitch Mortuary, 4167 First Street, Pleasanton. JazzCat Celebration: Join us for the conclusion of our 13th Jazz Season this Sunday at 5:00 pm when vocalist Clairdee will perform and we will honor Ed Klitsch for his creative endeavors throughout these years. This is one of the coolest ministries Peace has. 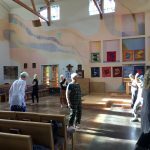 Rhythm and Spirt….and Sweat your Prayers: For those who love dancing and drumming and feeling alive in your body — our next Event is Saturday, June 9TH from 4 – 6 pm! Tanzania/Rwanda – PICO Organizing: Fr. John Rutsindintwarane (Rwandan by birth but who grew up in a Refugee Camp in Tanzania) is in the States and would love to share the impressive work that is happening within the Church Community in his home countries. He’ll arrive at Peace at Noon on Sunday, June 10. We’ll have an hour’s conversation over pizza. A few Tanzanian friends are intending to join us as well. This will be a fine opportunity to get a global perspective on the church and justice work. For the Pure Pleasure of Summer! June 17, 4:30 pm. Swedish artists and friends Stefan and Maria Safsten (Words of Realness, New Folsom Prison Concert and UN 70th Concerts in New York and Grace Cathedral, SF) are visiting Spoon Jackson, poet and lifer (whose release we are praying for) and friends in the Bay Area. They offered to present a Concert at Peace for Piano and Organ – for the sheer joy of music, friendship and summer. Delightful yes? You are invited. It’s an occasion to welcome summer and bathe in life’s beauty. 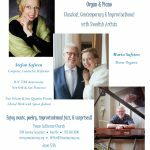 Goran Berg’s Sycamore Chamber Orchestra will be touring Sweden in the end of June! What a gift to these young musicians. Please keep in your prayers: Margaret Bender, Mary Bibbs and family Jose and Karen, June Jones, the family of Mary Calhoun as they mourn her death, our young people and teachers as they conclude another school season. Greenheart exchanges seeks Volunteers Hosts for French teens: June 26 – July 24. Established in 1985, Greenheart Exchange is a nonprofit international educational exchange organization. Our mission is to promote cultural understanding, academic development, environmental consciousness and world peace. Greenheart Exchange is designated by the United States Department of State as a J-1 Exchange Visitor Program sponsor and is currently granted full listing by the Council on Standards for International Educational Travel (CSIET). All of our group students give back to their host community by participating in one or more volunteer projects. Families with teens find this especially beneficial. Gun Violence in America: Every day 93 Americans die from gun violence. Since Newtown, there have been over 200 School Shootings – one almost every week. American women are 16 times more likely to be shot and killed than women in other developed countries. Moms Demand Action encourages us to participate this Saturday on the Golden Gate Bridge.